Variety is the spice of life that makes life interesting and, in the speaker world it should be no different! 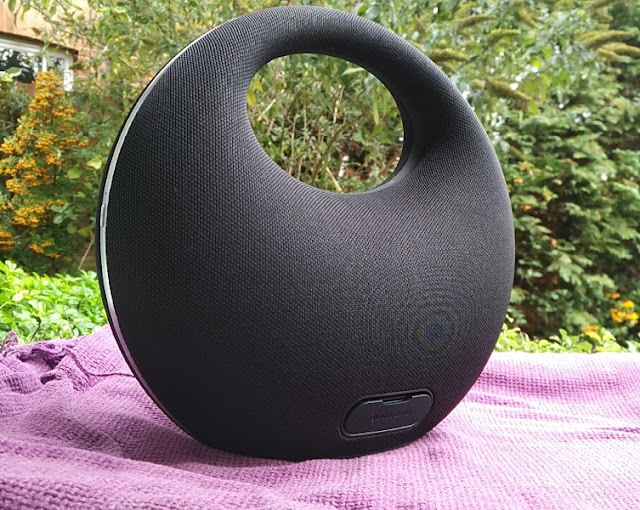 The Anker Model Zero makes new speakers a tad more interesting by being different and supreme sounding by packing no other than two 63mm bass (woofer) speakers, two 19mm treble (tweeter) speakers and two passive radiators to help control the frequency response range. 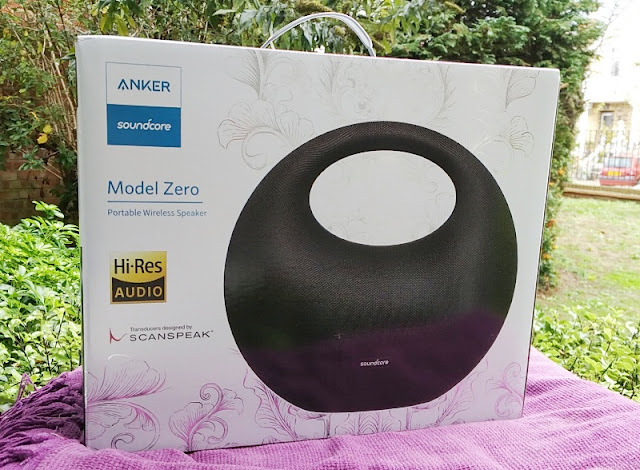 The result is pretty amazing and it should be since the Soundcore Model Zero is Hi-Res audio certified, meaning the Soundcore Model Zero speaker exceeds CD quality sound with sampling rates and bitrate of at least 96 kHz and 24-bit. 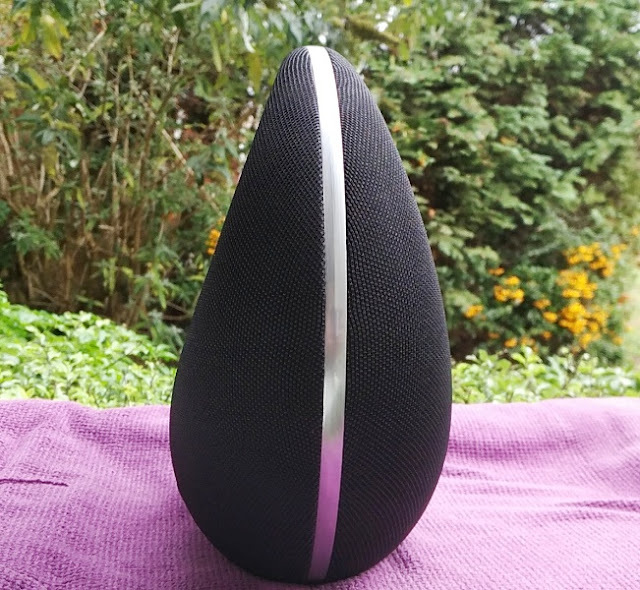 Most wireless speakers today integrate aptX, which is high quality wireless audio but the aptX codec has only a data transfer speed of 352 kbps making the bit rate just 16-bit at 22.05 kHz (sample rate). Even the high definition version (aptX-HD) with a bit-rate of 576 kbit/s at 48 kHz still comes short of hi-res audio. 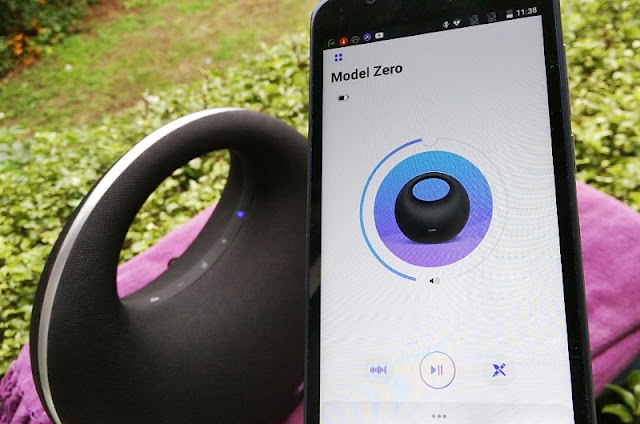 To give you an idea of Model Zero's hi-res audio quality, it is on par with LDAC, which is a bluetooth codec developed by Sony which delivers a hi-res bit rate of 990 kbps (24-bit at 96 kHz). With hi-res audio, you also get higher treble response up to 48,000 Hz over the standard 22,050 Hz you get with CD quality. 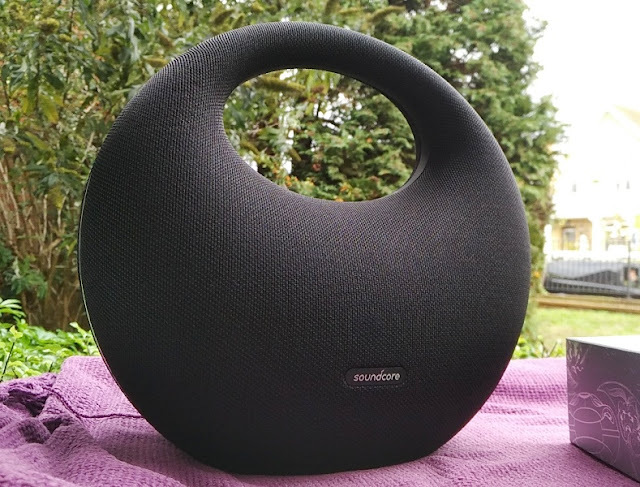 The noise floor is also much lower and that's really what makes the Soundcore Model Zero sound sublime with really punchy, sharp highs and balanced bass. 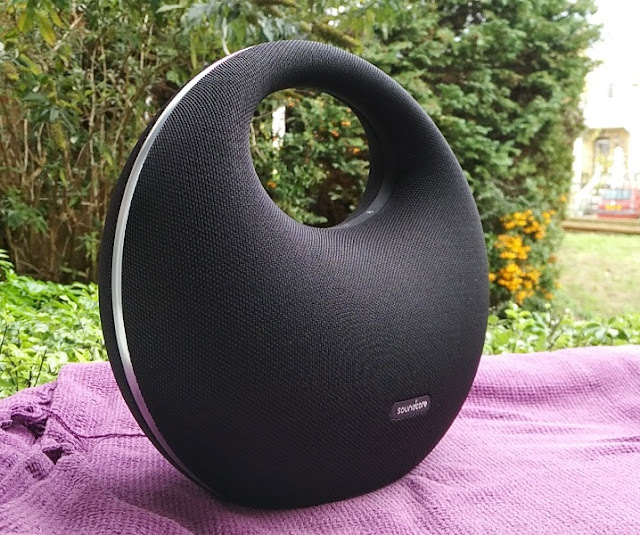 Great sound though comes with a compromise and that is weight as the Anker Model Zero weighs almost 2kg (1955 grams). 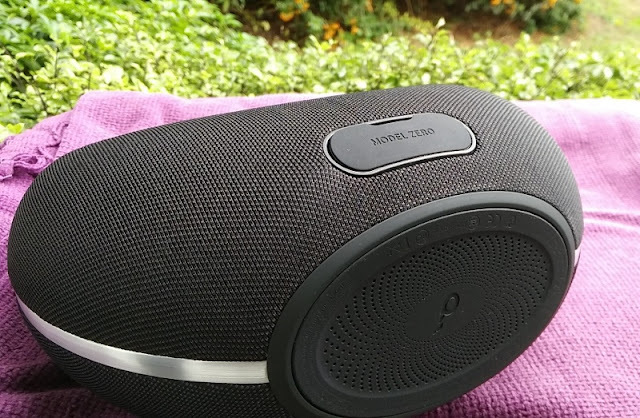 Then again, considering that the Model Zero is a 60W speaker its 2 kg weight is really negligible because of its portability, small form factor and IPX5 waterproof rating. 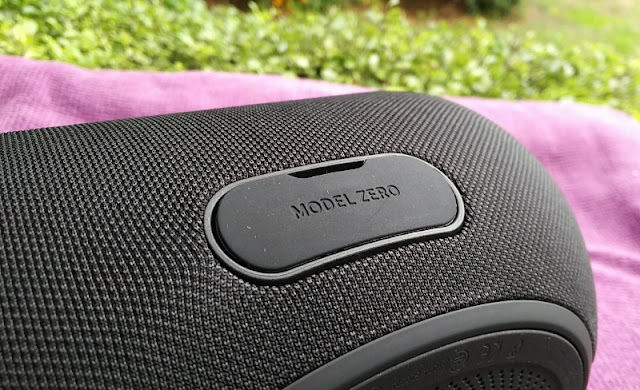 The Model Zero isn't submersible but it can handle strong water projected at the speaker from any direction, making the Model Zero speaker weatherproof. 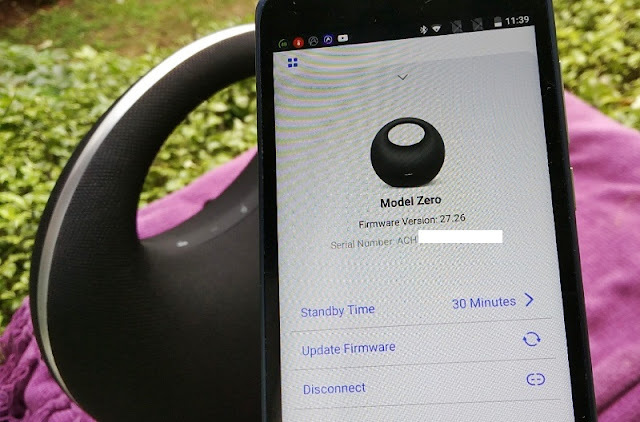 The Model Zero speaker performs well outdoors and indoors thanks to its strong bluetooth 4.2 signal which gives the Anker Model Zero speaker a 20-meter wireless coverage. 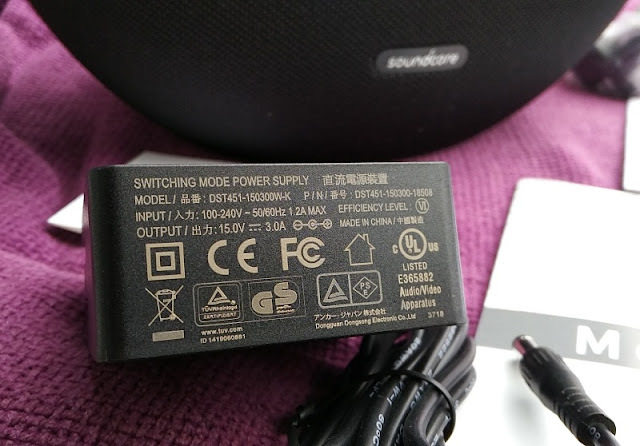 The Anker Model Zero speaker is recharged via a mains power adapter with barrel connector that inputs a maximum of 1.2A and outputs 3A at 15V. 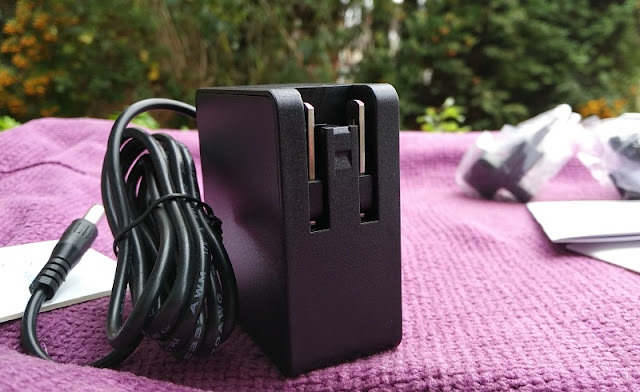 What's neat about this power adapter, which is Soundcore branded, is that it's a switch mode power adapter, not the standard (hot to touch) linear power adapters which aren't electricity friendly. 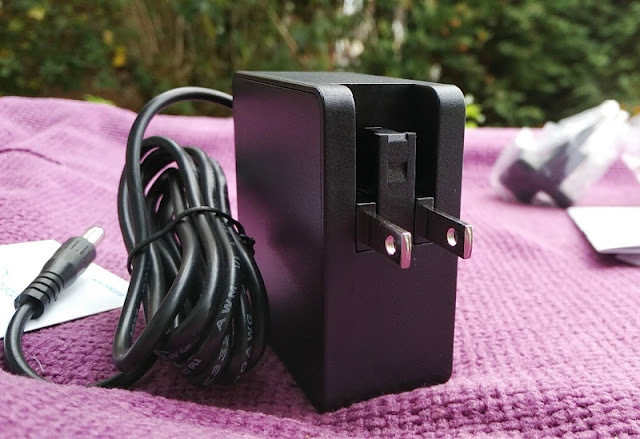 Model Zero's power adapter integrates a switching regulator that makes the conversion of electrical power more efficient so it cuts down power consumption and also heat build-up. The power adapter charges Model Zero's internal battery in just 3 hours for a total of 10 hours playtime on medium/high volume. 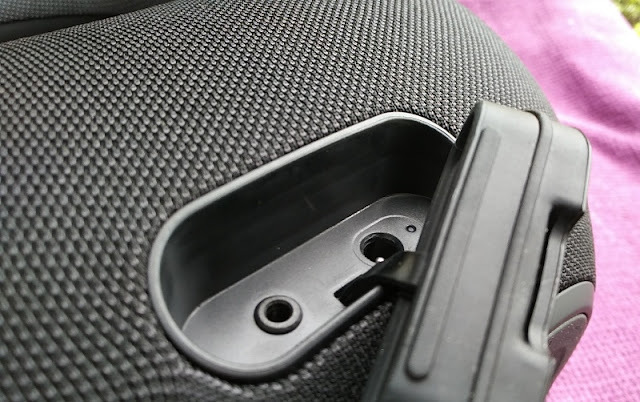 The DC power port is protected by a thick rubber pop-up flap that protects the DC port and AUX-in port from the elements. Around the bottom inner rim of the Model Zero handle, you find five touch sensitive buttons, two of which have leds (Bass and bluetooth). 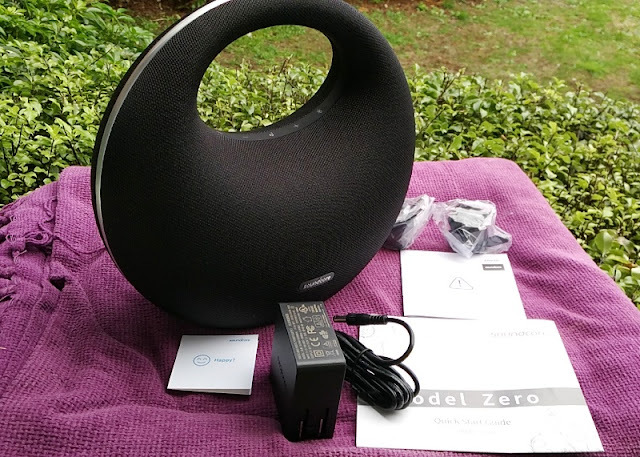 The power button is located on the outside metal rim of the Model Zero speaker and features a small white led. The button with the musical note controls the play/pause, as well as the skipping of tracks via a series of presses. Single press plays and pauses the audio, while two and three presses skips the track forwards and backwards respectively. 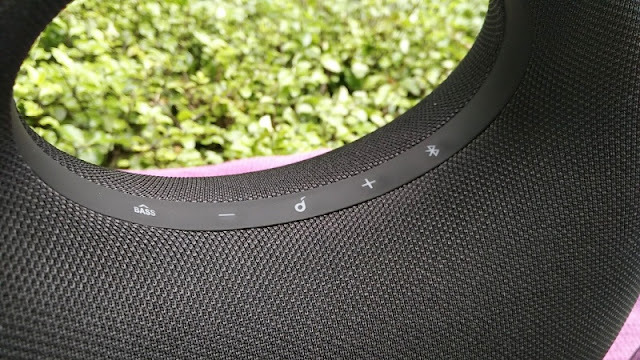 The minus and plus buttons let you volume up and volume down, while the button with the bluetooth symbol activates the bluetooth signal as well as the TWS feature (true wireless stereo). 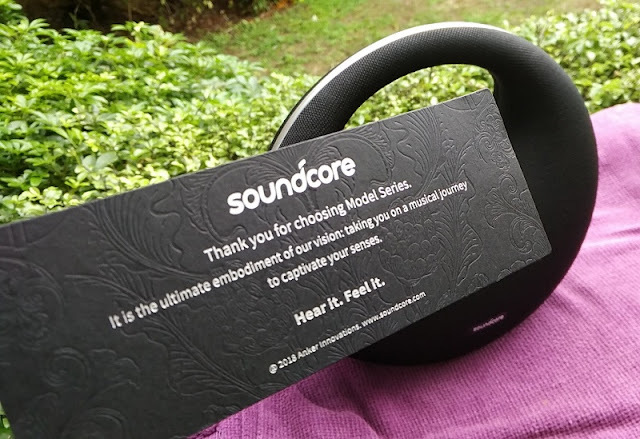 TWS is the same feature you get with the Soundcore Flare Plus that lets you pair two speakers so you can pair two Soundcore Model Zero to double the RMS output to 120W RMS. 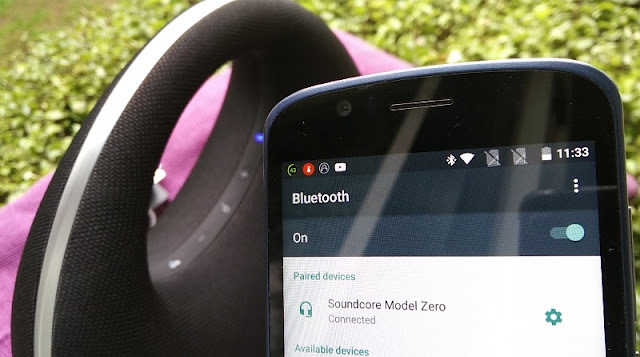 The Anker Model Zero speaker comes with a companion app that is not needed for the functionality of the speaker. 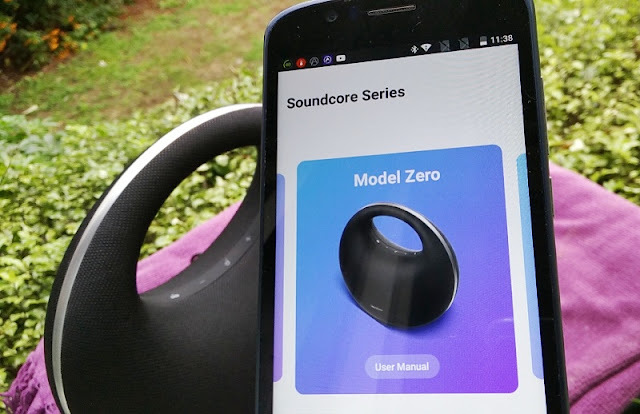 With the said, the Soundcore app lets you check the battery level, as well as pre-set a stand-by time from 15 minutes to 2 hours when the speaker is idle. 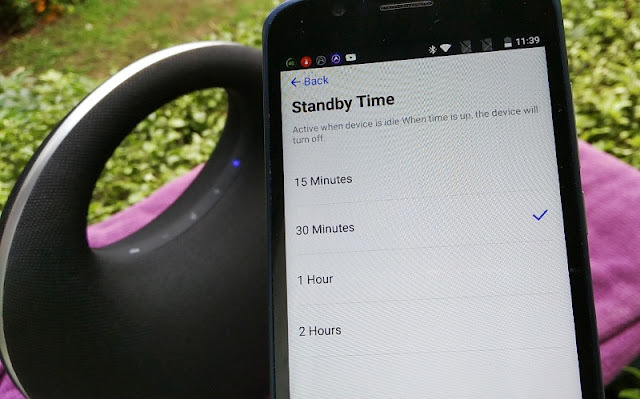 After the standby time is up, the Anker Model Zero speaker turns off automatically. 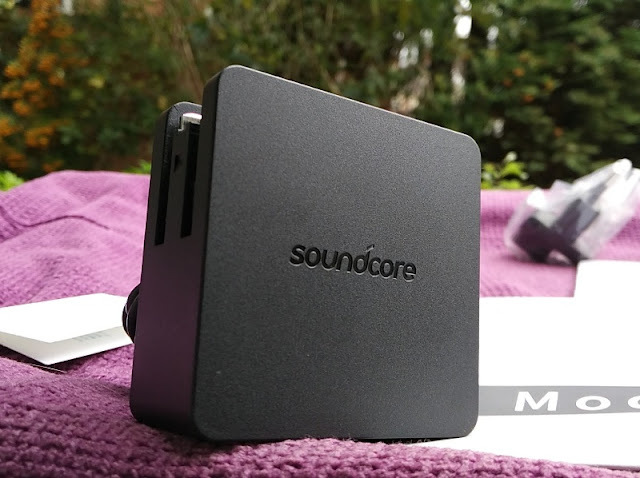 The Soundcore app also features an on-screen volume dial for the adjusting the volume. 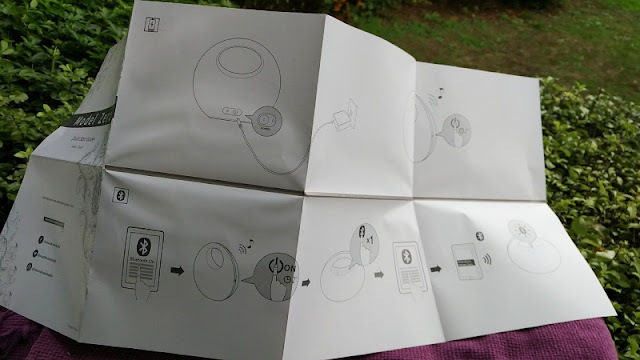 Inside the box with the Model Zero speaker, you also find a quick start guide and two plug adapters for EU countries and UK.